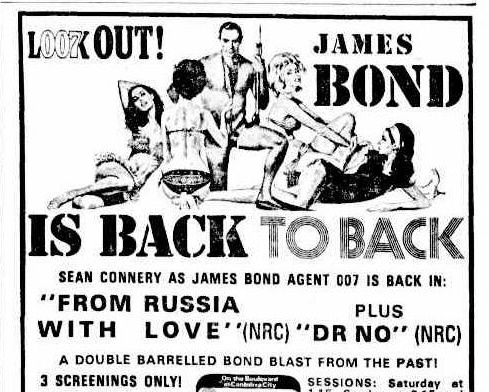 Australian newspaper advertisement for this re-release double of From Russia With Love & Dr. No in 1975, using the Thunderball image. 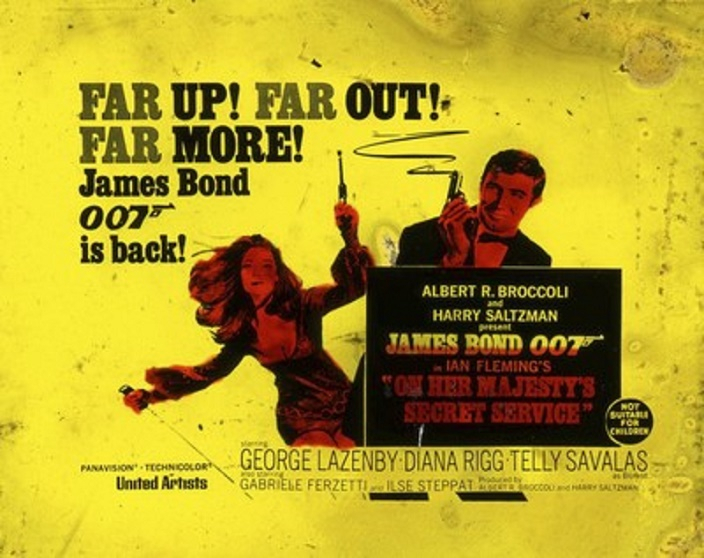 On Her Majesty's Secret Service ( 1969 ). Australian Glass slide image from Tweed Regional Museum. A James Bond glass slide is super rare I would say. 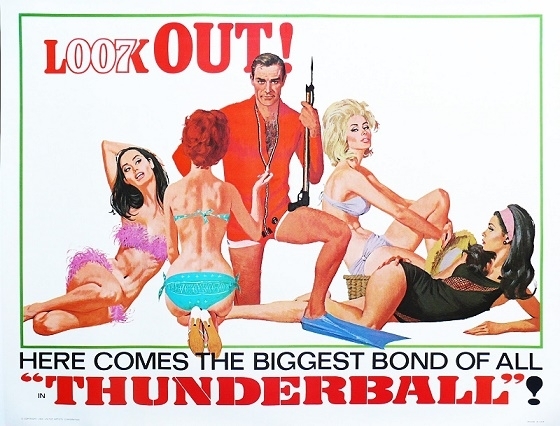 I am not aware of any other slides existing from any other James Bond films. I haven't taken time to investigate what may have been crossed out on the slide, but it would be interesting to know what may have originally appeared there to warrant it being covered over. I had a slide for View to a Kill and have seen Live & Let Die. 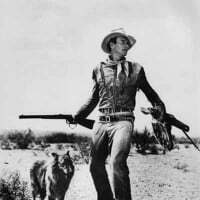 No others though.